6-8 2018 PF Josh Phillips (Edison/Huntington Beach CA) has verbally committed to University of Portland and head coach Terry Porter (former NBA guard and NBA head coach). 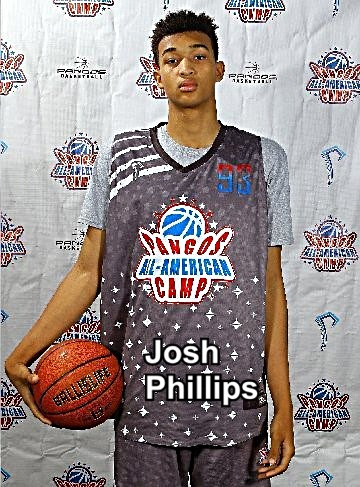 Phillips picked the Pilots over offers from Nevada, Long Beach State, Fordham, Portland State, Cal Baptist and Florida International and interest from Boise State, UC-Santa Barbara, Utah State, Eastern Washington and UC-Riverside. Phillips will anchor the middle for coach Rich Boyce's Huntington Beach Edison Chargers this upcoming season.